In the run up to the 'One Day, One Story' initiative, we reached out to some of the partner organizations we work with. Abhijit Chakraborty from Pratham Assam agreed to facilitate a few storytelling sessions through Pratham Assam. 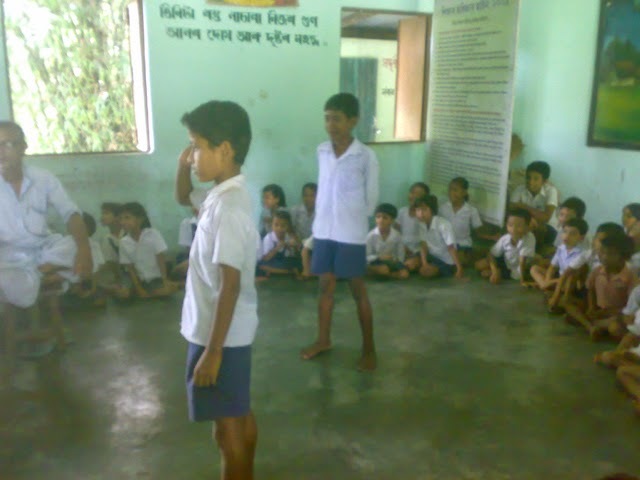 Pratham started working in the state of Assam in 2005. Key programmes across the state include - Read India , Early Childhood Care and Education (ECCE), Vocational Training, Digital Classrooms. 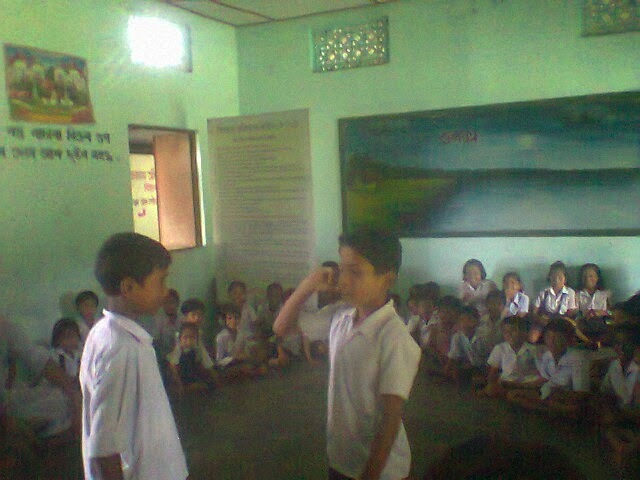 Robin Saikia sent us the following report about the storytelling sessions that took place through Pratham Assam. RPA, LEARN OUT OF THE BOX, LAKHIMPUR. 4. 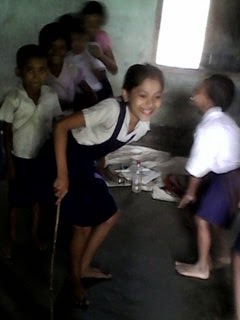 A small drama acted out by students based on the above story + some students share other stories they also know. 5. Requesting teachers comment on postcards about the literacy day. Teachers gave us dull support during the campaign. Students also enjoyed each and every event interestingly. More then 200 students were impacted by the programme in our district. 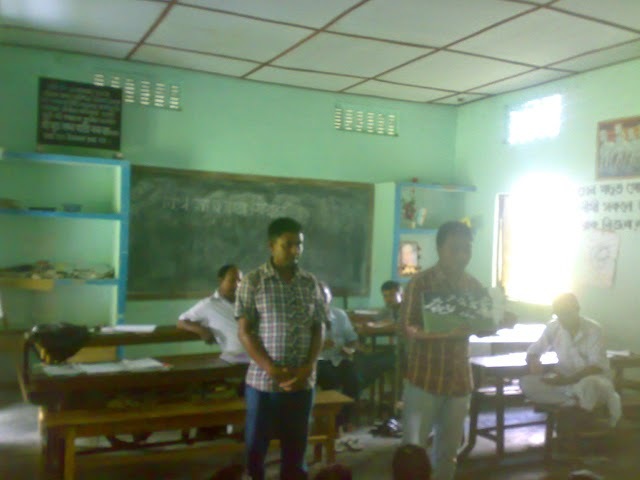 The session was conducted in Assamese. 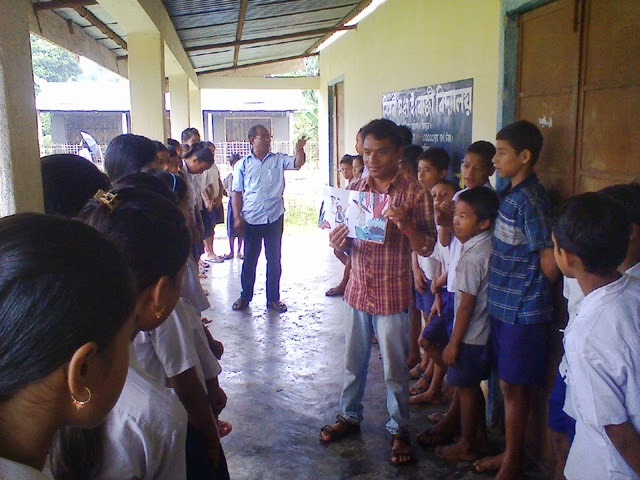 Thank you Pratham Assam for spreading the joy of reading!